NEWARK, N.J. – A Pennsylvania man who operated a construction company that did work at construction projects at two military bases in New Jersey today admitted paying bribes and kickbacks to get the contracts, U.S. Attorney Paul J. Fishman announced. 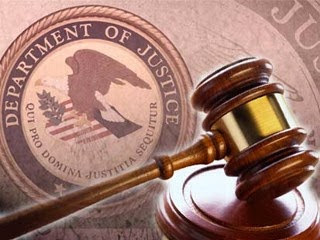 George Grassie, 54, of Covington Township, Pennsylvania, pleaded guilty before U.S. District Judge Susan D. Wigenton in Newark federal court to an information charging him with one count of conspiracy to defraud the United States and commit bribery and one count of providing unlawful kickbacks. Grassie owned a business that did construction, excavation and landscaping and did work as a subcontractor at Picattiny Arsenal (PICA) and Joint Base McGuire-Dix Lakehurst (Ft. Dix). He admitted that from December 2010 to December 2013, he paid bribes valued at $95,000 to $150,000 to an individual employed by the U.S. Army Contracting Command in New Jersey to obtain and retain subcontracts and other favorable assistance at PICA and Fort Dix. He also admitted that he paid kickbacks valued at $40,000 to $95,000 to Shawn Fuller and James Conway, who were then project managers for a prime contractor at PICA and Fort Dix. Conway previously pleaded guilty to wire fraud and accepting unlawful kickbacks on August 2016. Fuller previously pleaded guilty to accepting unlawful kickbacks in November 2015. The conspiracy charge to which Grassie pleaded guilty carries a maximum potential penalty of five years in prison. The charge for making unlawful kickbacks to which Grassie pleaded guilty carries a maximum potential penalty of 10 years in prison. Both charges carry a maximum fine of $250,000 or twice the gross gain or loss associated with the offense, whichever is greatest. Sentencing is scheduled for May 31, 2017. U.S. Attorney Fishman credited special agents of the FBI, under the direction of Special Agent in Charge Timothy Gallagher; the U.S. Department of Defense, Defense Criminal Investigative Service, under the direction of Craig R.Rupert, Special Agent in Charge, DCIS Northeast Field Office; and the U.S. Army, Major Procurement Fraud Unit, Criminal Investigation Command, under the direction of Special Agent in Charge Larry Scott Moreland, with conducting the investigation leading to today’s guilty plea. The government is represented by Senior Litigation Counsel Leslie Faye Schwartz, of the United States Attorney’s Office’s Special Prosecutions Division and Assistant U.S. Attorney Barbara Llanes, Deputy Chief, General Crimes Unit, of the U.S. Attorney’s Office’s Criminal Division, in Newark. I was following up on this contractor to see if he received his sentencing that was schedules on 5/31/17. Do you have a follow up story.